There’s a lot of confusion in the marketing world about split testing, A/B testing, multivariate testing, and the like. What you need to know is that all of these different types of tests prove fundamental to any marketing plan’s success. The enemy of every marketer is the assumption. If you assume your audience will respond to one thing, you discount the potential for something else to work even better. That’s dangerous in our hyper-competitive climate. 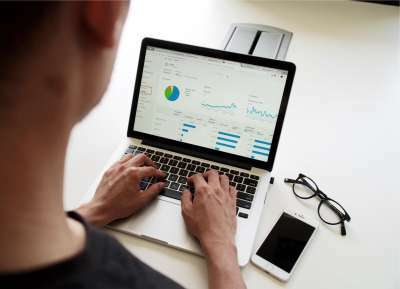 The good news is that, if you’re able to learn how to run split-tests effectively, you’ll be well on your way to ensuring your content, design, and other elements of your online branding resonate with your target audience. What is a Split Test? A split test can be a test between several versions of a website page that have a single element changed. For instance, you might have five versions of the same landing page, but each one has a different headline. This is different from multivariate testing, which involves testing two versions of the same page that include multiple changed elements. For example, each page might have a different headline, image, and call to action. Many experts don’t distinguish between split testing and multivariate testing, as we’ll go into below. In other words, for those marketers, split testing means testing two versions of the same web page that are completely different from one another. Split testing your website allows you to essentially run multiple A/B tests at the same time. Instead of comparing a control against just one variation, you include more variations to speed up the process. Many marketers use split testing in place of multivariate testing. However, as long as you understand what your test involves, you can’t go wrong. If you want to test multiple landing pages with different CTAs, you’re conducting split testing even if someone else calls it multivariate testing. In most cases, you’ll use software like Crazy Egg to conduct split testing. A sophisticated tool tells you more than just what version of a page “won” a split test. You can also use recording and heatmap functionality to collect data before and after you test to make your experiments more reliable. Split testing is extremely valuable for optimizing the pages on your website, from landing pages to homepages, to individual blog posts. Figure out how the design, layout, copy, CTA, and other variables influence conversion rates. If you’re running a business, you want to usher as many people through your sales funnel as possible. That’s a given. You can only do so, however, if you’re committed to acting on data instead of on assumptions. You might think you know what image will impact your audience most dramatically, but you won’t know until you compare it against another image. If you’re right, you can celebrate your audience knowledge and move on; if you’re not, you can save yourself wasted time and lost conversions. 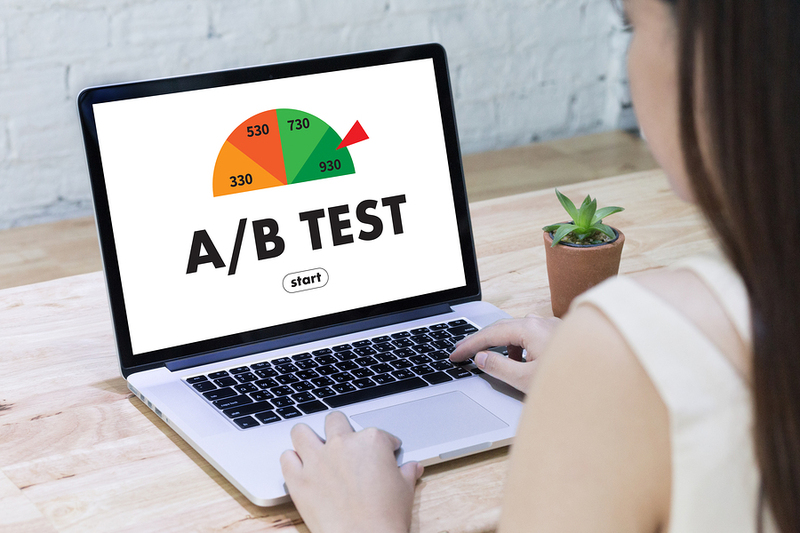 A/B testing is just as important as split testing, and running both types of tests will help you reach your audience more effectively. Keep in mind that a single test doesn’t tell you everything. Maybe you’ve optimized your image and headline, but what about your CTA and body copy? Additionally, your audience will evolve along with your business, so the results you got two years ago might not still apply. As mentioned above, split testing and A/B testing are similar, but they aren’t the same thing. A split tests compares three or more versions of a web page, while keeping all but one variable consistent, while an A/B test compares just two versions of the website with one variation. However, there are other definitions. SurgeLabs claims that split testing is the same as multivariate testing. In other words, you change multiple elements on the page and compare the changed version against the control. Differences between terminology and definitions can become confusing. We’ll refer to both definitions of split testing throughout this article so you don’t get confused. The main differences between split testing, A/B testing, and multivariate testing lies in what you’re trying to achieve. If you’re testing two very different versions of the same page, such as in the example above, you won’t know what aspect of the design influenced visitors. In other words, the “winner” could have converted more visitors because of the font choices, colors, design elements, copy, or something else entirely. That doesn’t make it useless, though. You’ll then have a starting point from which to begin A/B testing. You might wonder, for instance, if a serious, somber landing page will convert better or worse than a funny, lighthearted one. For that, you’ll want to split test entirely different versions of the page. However, if you’re fine-tuning your page, A/B testing will prove more effective. You can test one element at a time, using just one variation and a control, to determine how each variable impacts conversions. For the purposes of our examples, we’ll use the split testing definition that involves creating two completely different versions of a page. Let’s say that you sell activewear clothing. Many people wear yoga pants, track suits, and similar clothing items for comfort around the house as well as for exercise. Others use them for specific sports, such as running, while still more use the same activewear for every activity. In this case, you might use split testing to better understand intent. You could create one version of a landing page that includes photographs of people relaxing in activewear and another with photographs of people involved with sports. You’d want to adjust the headline, CTA, and body copy as well to ensure you’re targeting the specific audience for each version. Who doesn’t want to be comfy? Gear up for your favorite sport! The differences between the two pages would largely relate to visitor intent. You could also run split testing to determine what design scheme works best for your target audience. Let’s say that you run a law firm that specializes in criminal law. Should your landing page make light of your prospective clients’ predicaments or offer sound tips for people who have been accused of crimes? Create two landing pages: one that takes a lighthearted approach and a second with an educational tone. Use images, testimonials, copy, and design schemes to reflect those two very different tones. If you’re new to split testing, you shouldn’t have any trouble setting up your campaign. All you need is a Crazy Egg account and a website. Create two different versions of the page you want to test. You can also use other tools if you’re interested in split testing just one variable on three or more versions of the page. 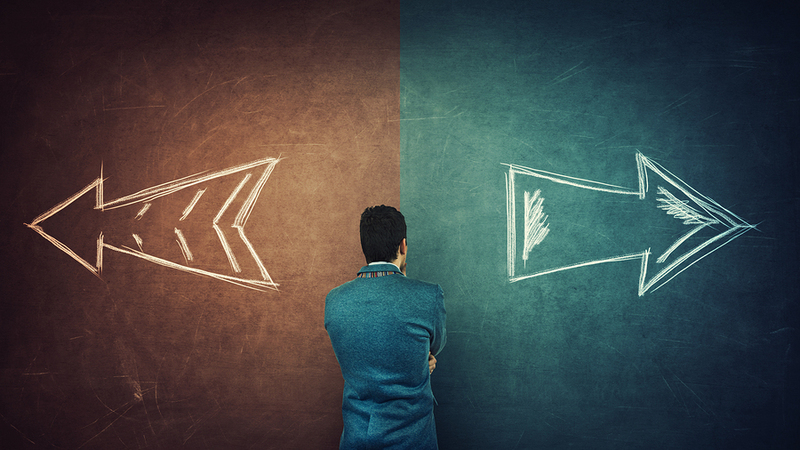 Decide which one of the versions you think will resonate most with your audience. This is your hypothesis. You need it because you’ll want to know if you were right. If you’re wrong, you can go back and examine your reasoning behind your assumption. Once you’ve created the two versions and made your hypothesis, start an A/B test at Crazy Egg or your other chosen tool. The best tools allow you to run A/B tests without any user input other than the URLs. 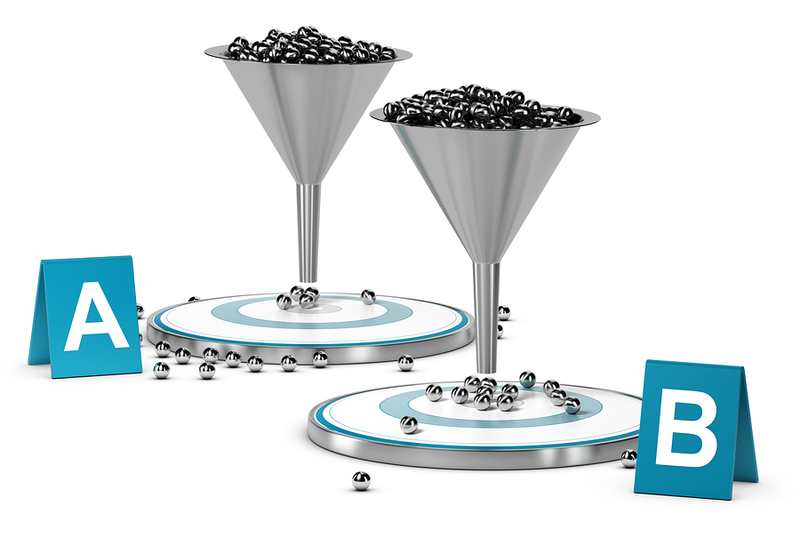 That way, you don’t have to sift through mounds of data to understand the results. Crazy Egg will run the split test for as long as necessary, then let you know which version “won.” You can then begin picking apart the winner to test different individual elements, such as page layout and CTA placement. Once you have a Crazy Egg account, you can continuously A/B test your pages. Start your free trial now! The most common pages for split testing include your homepage and landing pages. Both types of pages are typically geared toward conversions and have significant impact on your total sales. However, they aren’t the only pages on your site that you can test. You might want to determine what blog post layout works best with your audience. You could run split testing on your most popular blog post, creating two widely different layouts. For instance, test using a large header and sidebar against a post with no sidebar and an understated header. Change up the font choice, CTA, and headline design, as well. Even split testing your contact page can be beneficial. You’re looking for the perfect arrangement of elements on the page to encourage action on your visitors’ part. Maybe you want more people to get in touch via your contact form. Additionally, consider split testing your sales pages. You want the perfect design and copy to convince visitors to convert. Maybe you’ll test a long sales page versus a shorter variation, for instance. Regardless, focus on your goals. You want to get to know your audience better, figure out what pages resonate most with them, and discover what gets them to convert. 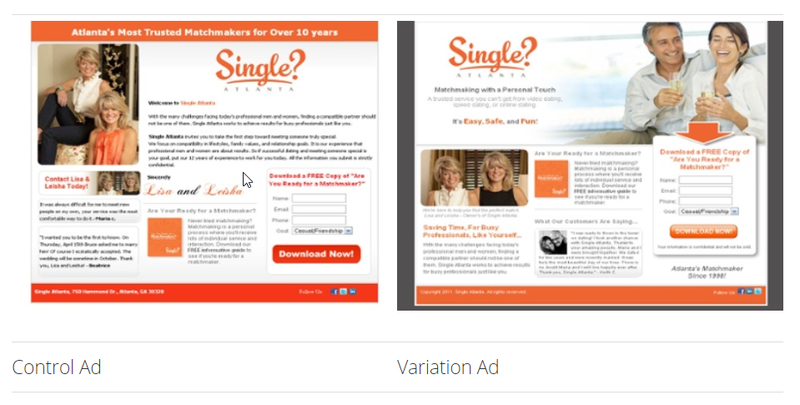 Split testing is a great place to start if you’re not sure what type of overall design you might need for your visitors. 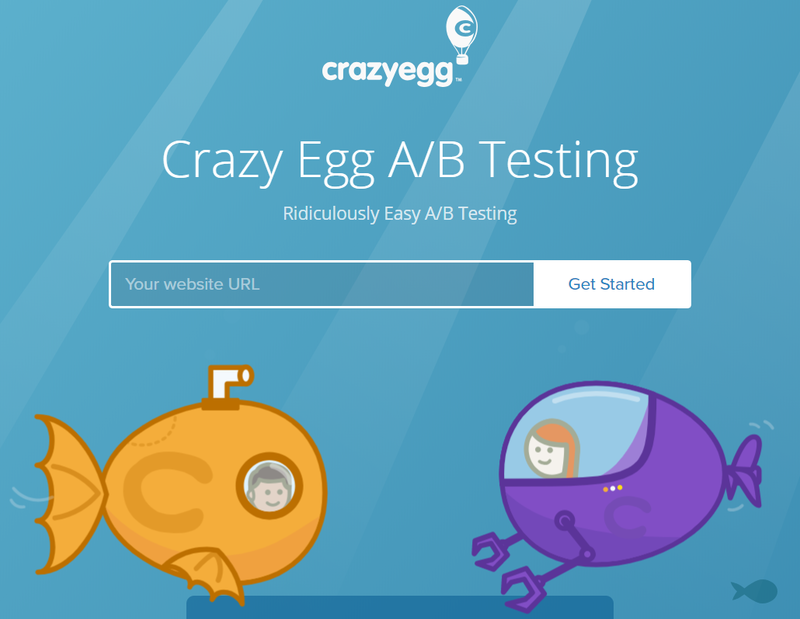 Whether you’re A/B testing or split testing, Crazy Egg provides all the tools you need to test two variations of the same page. Plus, you can get a seven-day free trial to test it out. You’ll also need a website, of course. WordPress is the most comprehensive CMS available today if you don’t want to know how to code or hire a developer. You can easily create two versions of the same page and no-follow one so it doesn’t get indexed by Google. Once you’ve chosen your tools and set up your test, you need only patience. You’ll get your results, at which point you can begin testing all over again. It’s easy to sign up for Crazy Egg and begin your free trial. From there, you can set up split testing based on what types of pages you wish to test. First, though, you might want to consider getting a few user behavior reports. Heatmaps, scrollmaps, recordings, and other reports show you how your existing traffic interacts with your site. Once you have that data, you can figure out what needs split testing the most, which allows you to prioritize the process. For instance, your heatmap might show that most people don’t click on your CTA. You’ll know that your call to action needs the most work, so you can begin testing variations. If you’re split testing instead of A/B testing, change multiple elements at the same time or run tests on three or more versions of the same page. It’s entirely up to you. Split testing is one of the most confusing aspects of marketing, especially since there’s no clear consensus on its definition across the industry. 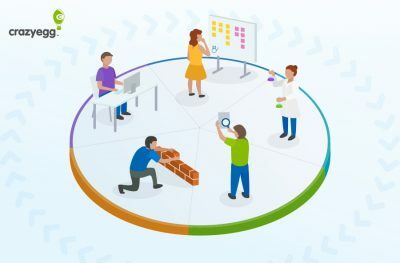 For some, split testing means testing many different variations of the same page, while for others, you’re testing two completely different versions of the same page. Either way, you’ll get actionable data that will help you improve your website’s design and function. It’s much more efficient to make decisions based on hard data than to make assumptions about your website traffic. Unfortunately, no matter how well we know our target audience, we can’t always predict their behavior. The access to copious amounts of data thanks to technology like Crazy Egg allows us to make smarter, faster decisions. And that’s the beauty of split testing. When something isn’t working, you can figure out why and change it rapidly for faster business growth. Crazy Egg offers a full suite of tools to help you optimize your website for conversions and sales. Use it to generate heatmaps, scrollmaps, confetti reports, list reports, and more. Once you’ve collected data about your visitors, run A/B testing or split testing to make sure you’re getting as many conversions as possible. Mary is a self-acknowledged numbers nerd who loves using analytics to drive business decisions. She currently consults for a handful of B2B/SaaS startups out of her home office in Austin.